As an internal medicine specialist, Dr. Mario R. Perez understands that mental health plays a vital role in your physical health and well-being. 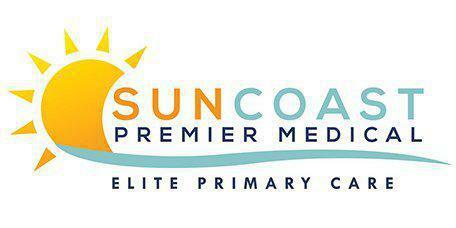 He is a primary care physician at SunCoast Premier Medical, with locations in Clermont and Davenport, Florida who is dedicated to treating the whole patient rather than just a set of symptoms. You can trust Dr. Perez to treat stress, anxiety, depression, substance abuse, and other mental health issues seriously and with compassion. Mental health relates to your emotional, psychological, and social health. These factors often determine what you think and feel about circumstances or situations that affect your life. And how you think and feel about an issue significantly impacts the life choices you make and the ways in which you relate to others. How Does Mental Health Affect My Every Day Life? Mental health problems can greatly influence your mood and behavior. Issues such as anxiety and depression can keep you from participating in social activities or prevent you from building healthy relationships. Low self-esteem can affect your career decisions, causing you to decline opportunities to participate in new projects that could improve your work status. Substance abuse interferes with personal, professional, and social relationships when your drug of choice becomes your first priority. Post-traumatic stress disorder (PTSD) can interfere with your ability to hold a job or maintain important personal relationships. How Does Mental Health Affect My Physical Well-Being? Depression and anxiety may lead to overeating that causes obesity. Obesity is a major factor in numerous serious medical conditions, including cardiovascular disease and diabetes. Substance abuse that leads to addiction can wreak havoc with your physical health. Alcoholism, for instance, can cause irreparable harm to your liver, heart, and neurological system. What are Treatments for Mental Health Problems? The first step in treating mental health issues often is a comprehensive physical exam and review of your medical history to identify conditions that may have developed as a result of your emotional or psychological distress. Dr. Perez then partners with you to design the most effective treatment plan for your circumstance and remains active in your care as your managing physician. There are many effective treatments available for mental health disorders. Dr. Perez may decide to treat your anxiety or depression with antianxiety or antidepressant medications, or refer you to a psychiatrist for management of complex mental health issues such as bipolar disorder. The most effective treatment also may include referrals for psychotherapy or to a facility that specializes in treatment programs for addiction.